Follow the lead of Johnson Controls' sports-marketing efforts. It’s no surprise then that sports marketing is hugely successful for many brand-name companies. People who can afford to attend professional or college sporting events tend to have higher incomes, and they are exposed to an advertiser’s message during a time of pleasure and when they have heightened senses. Many brand-name companies have hitched their marketing wagons — or at least one marketing wagon — to sports. 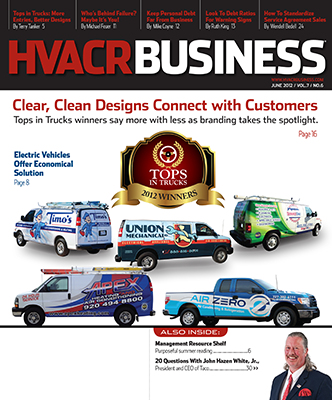 One of those companies is Johnson Controls, manufacturer of several lines of hvac products. Licensing Company and Michigan-based License Resource Group to offer college logos from more than 77 different colleges and universities on side panels of York Affinity air conditioners and heat pumps. 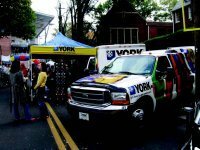 This agreement led Climatic Comfort Products to expand its sports-marketing program by setting up a booth at the stadium entrance equipped with a working York Affinity air conditioner equipped with University of Georgia and Georgia Tech college logo panels. Additionally, the site had a Climatic Comfort delivery truck, product literature, and giveaways. Sturkie estimates the booth exposed the company to as many as 10,000 people. Since then, Sturkie has been taking the display to University of Georgia football games, too. • Ticket giveaways: In addition to radio and television sponsorships and advertising, consider giving away tickets to customers as part of a promotion. This could be done in raffle, or you could tie it to a purchase or renewal, such as a service or maintenance agreement. • Program advertising, especially in college sports programs. • Giveaways to fans and fan-sponsorship nights. • Buying tickets for a group of school children, scouts, or community sports teams. Often, for your donation, you will receive a mention at the stadium, on the radio, or on the scoreboard. If you do this, be sure that the children’s parents are sent a letter on your company letterhead as a follow-up. • I’ve seen a variety of contractors use endorsements from Major or Minor League Baseball players in their advertisements in exchange for giving that player a free service or service agreement. Perhaps it’s the differences in salaries or contracts, but I haven’t seen this done as much with other pro sports. Taking another cue from Johnson Controls, consider using tickets to a sporting event as a sales incentive or other reward. Last year Johnson Controls awarded three top-performing hvac dealers with all-expensespaid trips to a World Series game. The dealers sell York, Luxaire, and Coleman brands and participated in a dealer-incentive program. 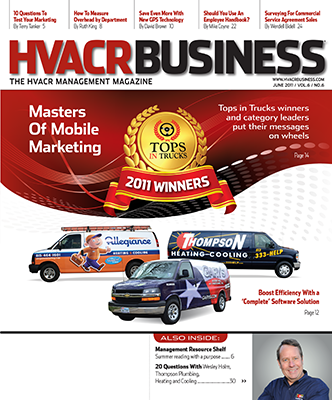 The winners were Mike Cassity of Four Seasons, Chicago; Tommy Croker of Arlington Heating & Air-Conditioning, Arlington, Va.; and Raul Salgado of Star Heating and Cooling, Phoenix. Additionally, major-league sporting events offer a great alternative to end-of-the-year holiday parties, points out HVACR Business columnist Ron Smith. They involve the family, are appealing to just about everyone, and take much of the onus of legal risks off the shoulders of the business owner. Finally, if your company has performed work as a contractor or subcontractor on a popular sporting venue, be sure to mention it in your marketing materials if your contract allows. Once again, Johnson Controls has used this technique. The company has written a case study about the use of its Metasys line at the First Union Center in Philadelphia, home to the NBA 76’ers and the NHL’s Flyers. Do you want to learn more about sports marketing? If so, believe it or not, the Gatton College of Business & Economics at the University of Kentucky offers a Sports Marketing Academy from May 7-10. Speakers come from such respected groups as The Coca-Cola Company, State Farm Insurance, the Orange Bowl committee, and the Kentucky Sports Authority.